For some specific uses of your commercial or industrial garage door, you could need caps to protect or solidify the end of the sections. 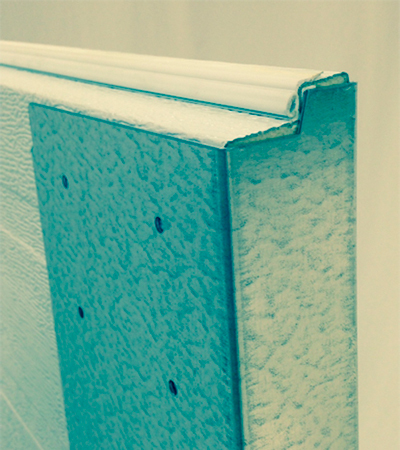 These caps come in white PVC or galvanized steel. When are end caps required on a Garaga door? The Canadian Food Inspection Agency requires that wood blocks located at the ends of sections on Garaga doors be covered so as to avoid any food contamination. GARAGA products are indeed accepted for this use (food preparation businesses). By putting steel caps, does this ensure that the hinges are firmly attached? Not necessarily. The end blocks on Garaga doors are made of wood (grade #4 dried pine). They serve a dual purpose: to ensure an effective thermal break and a more solid way of attaching hinges. Unlike other manufacturers who use only steel caps, which act as thermal bridges thus reducing the total R‑Value of the door, the hinges at the end of the Garaga sections are attached to the wood with wide thread screws. That means they are more solidly anchored than others using a self-tapping screw passing through the steel end cap, the hinge strip, and the door metal, a thickness of only 0.11" or 2.7mm. 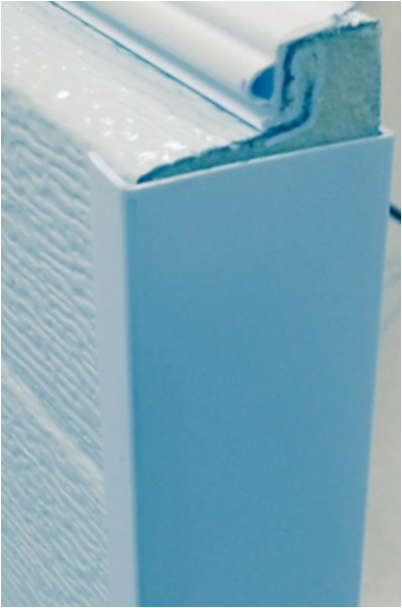 Wood end blocks combined with steel caps are the ideal combination for high-cycle doors. Can I add them anyway? Yes… of course. By combining wood end blocks and 16 gauge steel caps, you are giving extra reinforcement to the "hinge + door" assembly. And do you recommend them for car washes? To get optimal effectiveness from wood, it is best not to cover it. 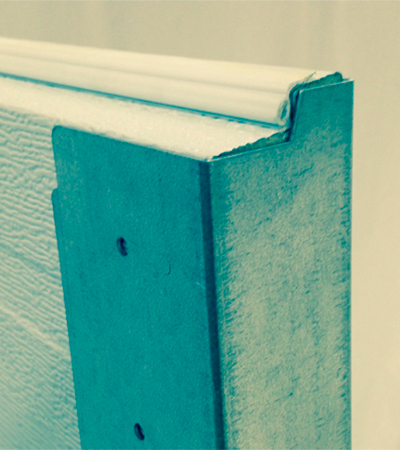 However, if the door is very close to jets of water, covering the section ends with PVC caps is a good option.